When we bought our HP Laserjet 1020, Windows Vista was in its advanced Beta stage. Nonetheless, when Vista came out and we bought Penny's HP Laptop with Vista Home Basic preinstalled, the driver was not ready. When the driver shipped in May last year, it was worse than the WinXP driver, putting black lines down the side of the page, on both WinXP and Vista. Needless to say I was not impressed. A year later the driver has not been updated. 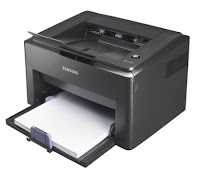 Yesterday I went to buy a replacement toner cartridge, and noticed that the Samsung ML-1640 printer cost less than the toner cartridge. So not only has HP lost out on the sale of a R750 toner cartridge for the 1020, it has also lost out on the sale of a R12000 laptop (I didn't even look at HP/Compaq laptops last month) and once the 1020 finally conks out we will probably replace it with a Samsung or Lexmark colour printer. All this because HP were too cheap to do a decent driver for the 1020. Not only does the Vista driver put lines down the side of the page whenever a graphic is printed, but the only way to print anything from another PC is to send it to the shared printer, and then reboot the host PC to get it to print. Not any more, since buying the ML-1640. HP knows how to annoy its customers, and it has done so really well. good luck with the Samsung. I have one almost new. After about a month of work it prints grey. Took out the cartridge and put a new one in: the printer does not recognise the cartridge is loaded. Try again, repeat 10 times. Put the old cartridge back in, try again, repeat 5 times - on the sixth time it recognises that the cartridge really is there, and prints a beautiful print. After 3 prints, it is back to printing grey again. So I still have the new cartridge - but I cannot persuade the printer to recognise it. There must be a trick to loading the cartridge, like pushing up, down left or right, turning off the power before, after the loading... because sometimes, rarely, it does recognise the cartridge is there. Well I'm the very HAPPY owner of 2x CLP-510 colour laser's with duplex unit including 3 year warranties. For what it's worth my experience with Lexmark (which in my experience are also known as DELL branded printers) the Black inks never dry 100% and consequently smudge - even after using paper straight out of warming cabinets etc etc. perhaps I'm the only person it had ever happened to but DELL and Lexmark swapped a number of printers before I finally yelled HALT this is just rediculous and got a refund. Price wise it often seems to be the case that it is cheaper to buy a new printer than it is to purchase replacement cartridges/toners etc. Product redundancy is just out of hand these days, especially when international standards state that a product must have parts fo say 5 or 7 years. Surely 1 new product per brand per year is enough for consumers?